Managed Print Services is a bespoke photocopier and printer service that gives companies greater visibility and control over their printers or photocopiers, helping to boost productivity, saving you time and money. • The cost of purchasing/leasing office printers including: printers, scanners, photocopiers, multifunctional printers, fax machines etc. • Consumables including: ink, toner, paper, staples etc. However, with a Managed Print Service, companies can save as much as 30% on their total print spend (ComputerWeekly, 2004), and see instant benefits to their business. Our key area of expertise falls in document management and Managed Print Services (MPS). Although overall print volumes are down, the introductions of tablets and smart phones into office environments, has created additional complexity in the print environment which need experts to manage. A leading MPS provider, Midshire will run your entire printer fleet for you, leaving you to focus on the day to day running of your business. How does an MPS work? Before signing your contract with Midshire, one of our experienced account managers will come into your business and conduct a Free Print Audit. This review of your office document printing includes: colour vs mono printing, monthly document volumes, energy use, consumable costs, paper costs, and outsourced printing, as well as the rental/lease costs associated with the equipment. 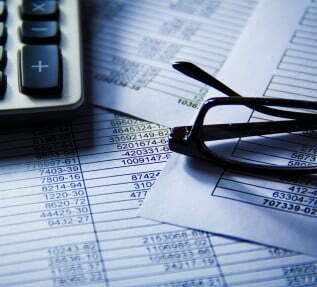 Once the print audit has been conducted, your dedicated account manager will assess your business spend, and provide a solution that will save your business money, reduce inefficiencies and help streamline your business printing. Brand new equipment is constantly advancing in both speed and functionality whilst being more energy efficient. Meaning that a new print solution will not only save you money, but will replace old technology with the very latest on the market. As an independent print management company, Midshire can support diverse printer fleets, ranging from one machine to a thousand machines and above. Our Managed Print Service can support a mixture of types and brands of printers, from small office printers, right through to large format printers. We take care of the full print solution, from installation and training right through to taking meter readings and delivering toner. Midshire offers customers print management software to further reduce their print spend. These include: PaperCut printing software and Equitrac printing software. What do Midshire’s Managed Print Services include? Midshire offers MPS to all of our printer and photocopier customers. Our managed print service covers: general maintenance, the ordering and dispatch of toner cartridges and parts, preventative maintenance, the booking of engineer calls and providing meter readings plus anything else your business requires in the area of print management. Midshire uses OneStop software to automatically order toner and submit meter readings. This proactive service reduces the amount of customer reporting and administration on their fleet of printers or copiers, saving them time and the headache! Why choose Midshire for your managed print service? As part of the Midshire MPS, our customers receive ongoing service support for the duration of the contract. All service requests are logged electronically, and the relevant engineer will be dispatched to the call based on both product expertise, experience and location. Midshire has a targeted 4-hour response time. We have over 40 manufacturer trained engineers across the Midshire Group who have attended and continue to attend manufacturer-run courses to improve their knowledge and experience of the machines they are servicing. When an engineer is on site to fix a fault, they always carry out a ‘minimum call procedure’. This standard list of maintenance procedures includes general upkeep of all equipment, and engineers carry out key preventative maintenance, which helps prevent future breakdowns. This type of maintenance is proven to increasing the uptime of our machines and this is continually monitored. Not typically carried out by all providers, we firmly believe that by looking after our photocopiers and carrying out preventative maintenance is the best way for customers to benefit from a reduced number of emergency call outs over the lifetime of their contract. We continually monitor and assess our service performance across the group. This is measured both quantitatively, using our service statistics and qualitatively through customer feedback. In 2016, 99% of our customers rated our engineer performance as good or excellent (89% excellent) and 99% of customers rated our overall service as good or excellent (81% excellent). Would my business benefit from a Managed Print Service? Midshire has offices in Stockport (Greater Manchester), Sheffield, Cardiff and West Bromwich but provides Managed Print Services to companies across the entire country, including London. 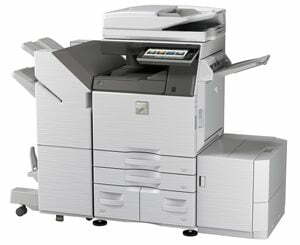 Midshire provides Managed Print Services on all brands of photocopiers, including Sharp.